What gives a business its soul? We believe it comes from the commitment and vision of its founder and how that legacy is carried forward. 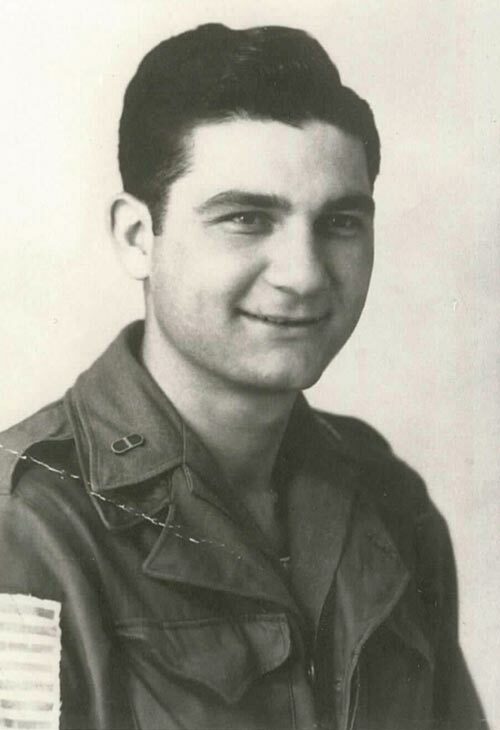 When the life of Paul Perrone, our own founder, was spared on D-Day, he made a promise to his Maker that he would spend the rest of his days helping others. His spirit lives on and that promise continues. How do we live up to that promise? We make the lives of our patients and prescribers less stressful and more convenient, every day … we deliver compassionate and competent pharmacy services, every day … we bring comfort to those in need by a reassuring word and smile, every day. Since 1952, Paul Perrone’s legacy lives on. Perrone Pharmacy, Inc. is now one of the largest independent retail pharmacies in the state of Texas, thriving despite all of the competition because of one reason: trust. Our customers know that there will never be any short-cut or half-measure when it comes to their care. Paul Perrone was born in Steele Store (now Mooring), Texas on August 3, 1920. Paul’s father had come to the United States from Sicily in 1892, when he was only five years old, having experienced the great misfortune of his father (Paul’s paternal grandfather) dying in an accident aboard ship. One of eight children, Paul grew up on a working farm. Throughout the Great Depression, his family worked hard from sun up to sun down, raising kids, cotton and cattle. After high school graduation, he attended Texas A&M where he played football and was a member of ROTC. 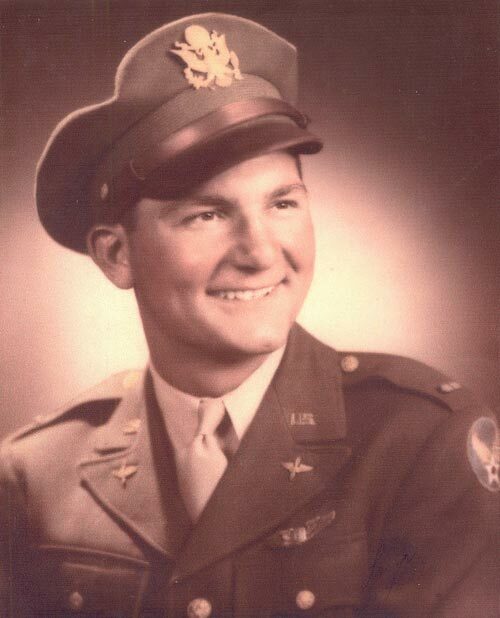 With World War II raging in Europe, Paul enlisted in what was then known as the U.S. Army Air Corps, interrupting his college education. His parents had to sign to give him permission to go because he wasn’t yet 21 years old. While in the service, Paul became a glider pilot. On June 6, 1944, he flew into the beaches of Normandy and was stunned by what he saw. Surrounded by death and destruction, and knowing his odds of survival were slim, he promised his Maker that if he were spared, he would spend the rest of his life helping others. It was a promise he would always keep. After almost six years in the service, having flown several more dangerous missions into enemy lines, and surviving all with no serious injury, he left the service to enter pharmacy school at the University of Texas. There he met up with Horace Park, another young World War II vet, and they studied together. While Horace had a hard time with chemistry, Paul struggled with his English class. So they tutored each other, causing Paul to later joke that they really only had one diploma between them. 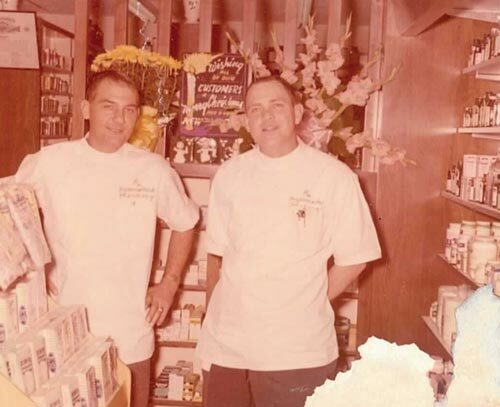 In May of 1949, the two young graduates headed for Dallas to work with the Park family at Dougherty’s Pharmacy. Shortly after working there, Paul met Alice Ivelle Tacker, a customer. The young widow had a four-year old daughter, Donna, and had moved back to Dallas to be near her parents. After a whirlwind courtship, they married on Valentine’s Day, 1950. It turned out that Dougherty’s was quite the place to meet, a veritable post-war match.com, as Alice’s brother had met his wife there the year before, while she was working in the Cosmetics Department. 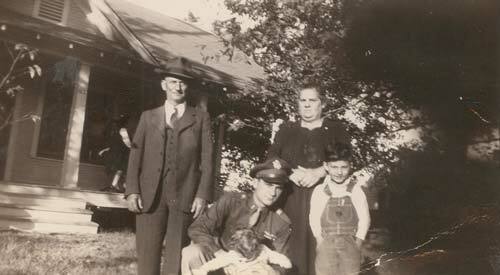 The young Perrone family was growing, as was the Park family. In June of 1951, the Perrones had another daughter, Paula. With four young girls between them, the two men decided they wanted to make it on their own or they would never be able to afford the clothing bills. ing possibilities, a small pharmacy located at the far west end of Camp Bowie Boulevard came up for sale. 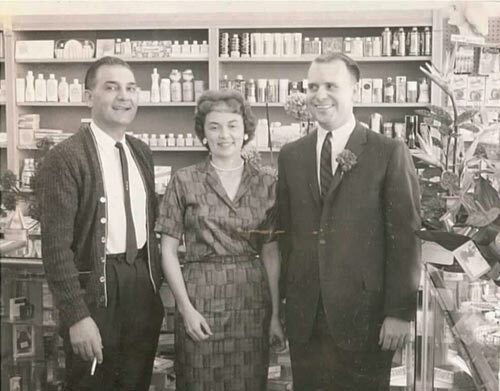 On April 22, 1952 they became the new owners of Swan Drug and promptly changed the name to Perrone & Park Pharmacy. Paul and Horace worked long hours in getting their business off the ground. So hard, that in just a few years’ time, they needed a larger location. Paul’s family was growing as well, with the birth of Kim, another daughter, in 1956. Dr. Melvin Johnson, a general practitioner, was constructing a building for his practice in the same neighborhood so the move took place in 1958: Perrone & Park relocated to its present location at 3921 Benbrook Hwy. This distressed the older daughters of both Horace and Paul, as the new store would not have a soda fountain, a source of entertainment and popularity. The new store housed the first contract post office in Fort Worth, a service we still offer to the public today. Although the soda fountain was history, any student at Ridglea West Elementary (now Luella Merrett) who made an “A” in conduct on their report card received a complimentary treat from the ice cream box on the floor. An exciting first (and probably only) was the delivery of a baby in the bathroom of the pharmacy in the early sixties. Mother, baby and pharmacy employees all fared just fine. Add more detail about the birth and Dad’s comment about Horace. The sixties brought other changes as well: a second store was added on Hwy 80 in Western Hills which Mr. Park ran while Mr. Perrone ran the Benbrook Hwy store. The men’s five daughters all did their tours of duty at the pharmacies. 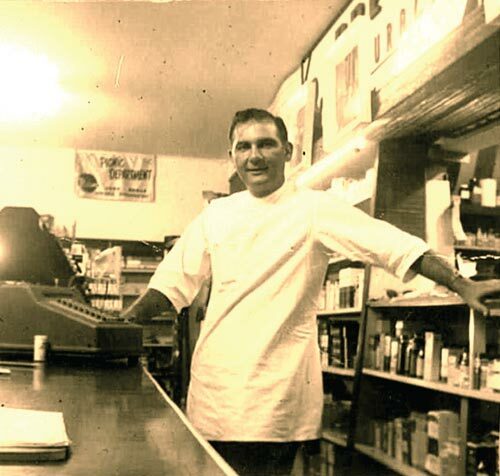 After several years together, the partners decided to go their separate ways, with Mr. Park retaining the Western Hills location and Mr. Perrone retaining the original store, renaming it Perrone Pharmacy in 1975. In 1980, Kim Perrone graduated from the University of Texas Pharmacy School, and took her first job in Nashville. She returned to Fort Worth in 1989 with her young family and joined the Perrone Pharmacy team. 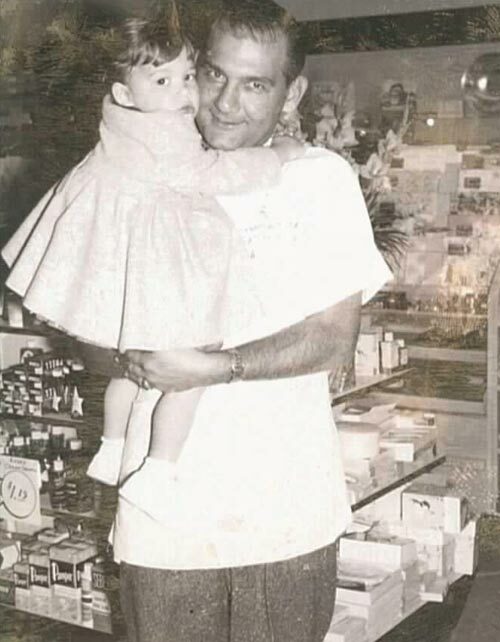 Paul Perrone continued to lead the pharmacy operation every day, celebrating the 50th anniversary of the store in 2002. He continued to work every day until shortly before he passed away, on July 6, 2004. Since 1952, Paul Perrone’s legacy lives on. Perrone Pharmacy, Inc. is now one of the largest independent retail pharmacies in the state of Texas. It thrives, despite all the competition, because of one reason: trust. Our customers know that there will never be any short-cut or half-measure when it comes to their care. Request refills using the Rx2Go app. Available for Apple and Android mobile devices.